Not everyone that reads this blog will know this but I actually grew up in Blackpool and so did my husband, we lived there until we were 18 and then moved to Chester where we have stayed every since. Growing up in Blackpool meant that we had all the attractions on our doorstep but as locals we were able to visit out of season and avoid the crowds which was always a little bonus. 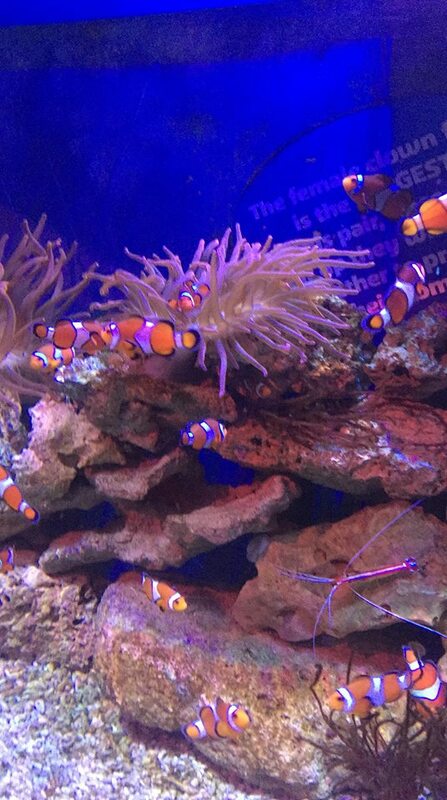 One of my favourite places was the Sea Life Center, although it is now called Sea Life Blackpool, so when we got the chance to go back and take our own children with us we just couldn’t resist. The Sea Life has changed a lot from when I was a child, although watching all the fish through the glass tanks still brought back fond memories of my visits as a child. We visited as a family of four with two boys, aged 8 and 5, and we truly had a lovely time. 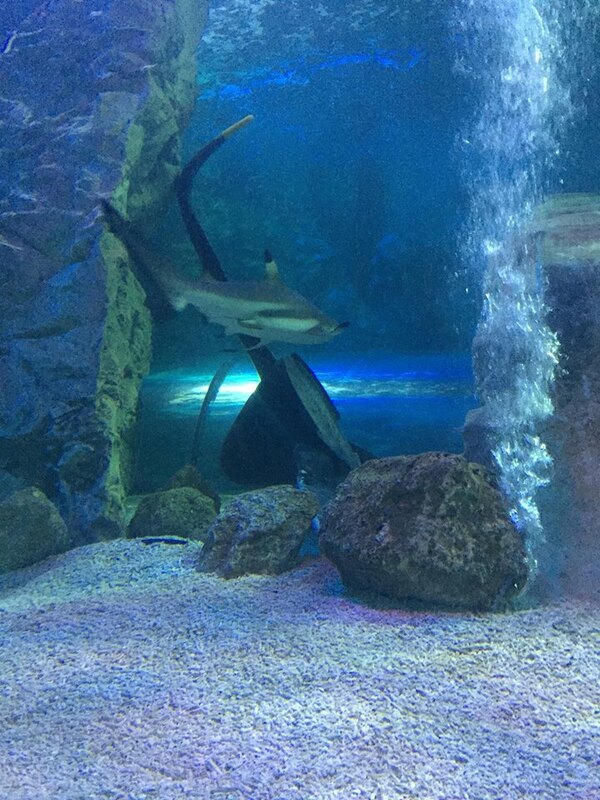 Having been I feel I can now confidently pass on some top tips for making the most out of your visit to Sea Life Blackpool, I hope you find them helpful. We arrived at about 11, however the Sea Life actually opens at 10 and I would suggest you get there as close to this time as you can as the later it got the busier it got and we were just about fortunate enough to see most things before it got too crowded. We booked the behind the scenes tour which is an additional £3 per person for 15 minutes and takes you into one of the working rooms, talks you through lots of interesting facts and shows you various fish. We were lucky enough to see some brand new tiny sea horse babies and a few clown fish on our tour. In my opinion this is worth £3 per person if you are interested in learning about sea life, however I wouldn’t recommend it for children under 5. If you do choose to book then I would also recommend you go for an early or later tour time to avoid the mid day rush as although I am sure they cap the numbers the room is small and some tours seemed bussier then others. If you are on a time limit you could complete the Sea Life in an hour and a half however I do feel you would rush certain aspects if you did. I would recommend that if you are visiting with younger children you allow yourself at least two hours so that they can enjoy all the extra activities that are going on as well as seeing the fish. Something that surprised me when we arrived was that we were told our tickets were valid for the full day and we could leave and come back as many times as we wanted to. This is a fantastic idea, especially if you are on a holiday in the area or visiting for the day as it means you can start your trip here (see point 1) and then fit in some other attractions before popping back for another explore and play before the day is out. I would highly recommend using this feature to get the most out of your day and your money. One of the biggest differences that I noticed from when I was a child is that there is no longer a big restaurant, although you can buy drinks and snacks inside. I actually like this idea as it means you are not paying for over priced food but instead can go somewhere else, maybe have some chips on the sea front like we did, and as the tickets are open for the day you can always go back in after lunch. The turtle rescue area was definitely the best bit for out 5 year old, although both boys enjoyed it. Here children get to pick a toy turtle, name him, weigh him, re hydrate him, feed him, give him an x-ray and then release him back into the water. 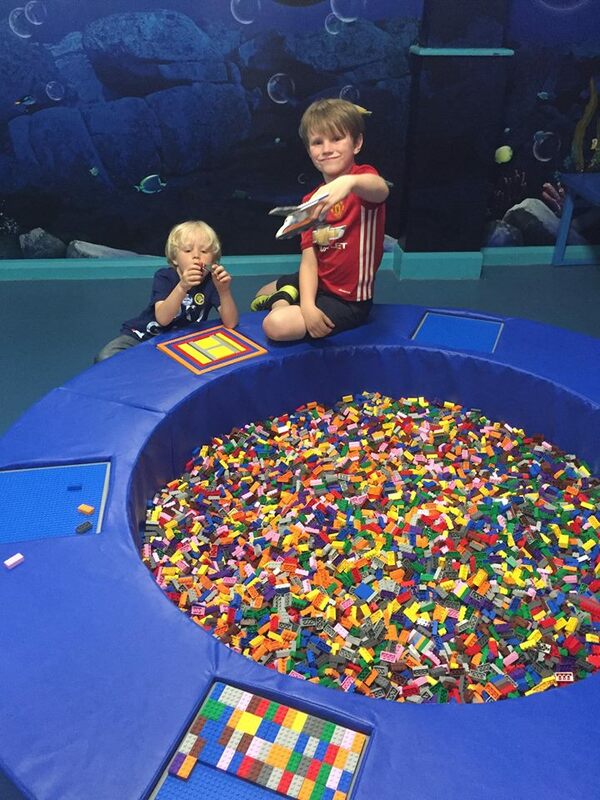 As well as being fun this was also educational and a huge hit with our boys. The big’un would recommend two things, the shark tank – obviously! Which has the new addition of a turtle which according to the staff is in it’s 70’s and bullies the sharks. 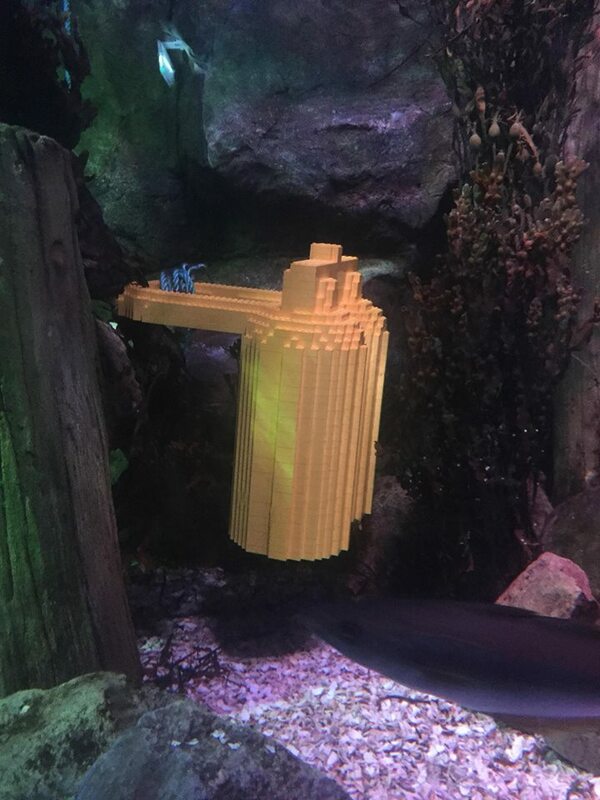 The second bit would be the lego hunt which you can do on the way round and if you fill out the questionnaire and hand it in to the lego area you get a really cool lego scuba man to take home. Talking of which there is a new lego area on the other side of the gift shop where children can sit for as long as they want and build endless lego characters. There are even instructions on how to create lego sea creature should they wish. Next to this is a soft play area that covers two floors for the 5 and unders. Our tiddler played in this for a while and really enjoyed himself, however as his brother couldn’t go in he was torn between playing in there on his own or in the lego with his bro. I would recommend you factor in at least half an hour for a play in either of these areas whilst you have a much needed coffee and rest before taking on the rest of Blackpool. The only negative I have of our trip is that you have to walk through the gift shop to exit Sea Life which is always a bug bear for me at any attraction. I understand why they do it but as a parent it sure makes it tough, although my children are a little older now so it is a lot easier. I would suggest you pre-empt this and either tell your child no from the start or perhaps give them a set amount they can spend as there are some very reasonable items as well as a sale section. Overall we had a fantastic day, learnt a lot and really enjoyed ourselves as well bathing in the nostalgia of it all. 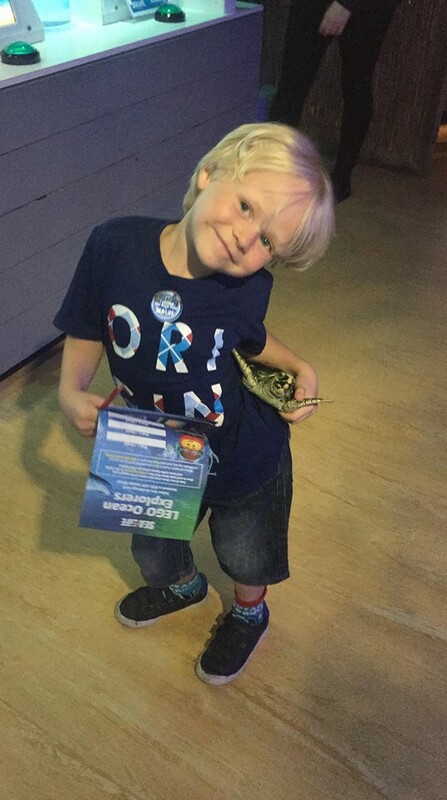 I hope these top tips help you get the most out of your visit to Sea Life Blackpool.